The Changeable Word Bar System is designed for use in areas where changes in information are anticipated. 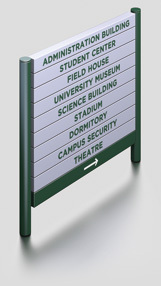 Changeable Word Bar signs are ideally suited for use in corporate parks, office complexes, universities, hospitals and financial institutions. 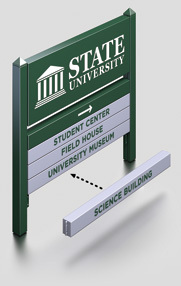 A thoughtfully designed fastening system allows for quick and easy copy changes. 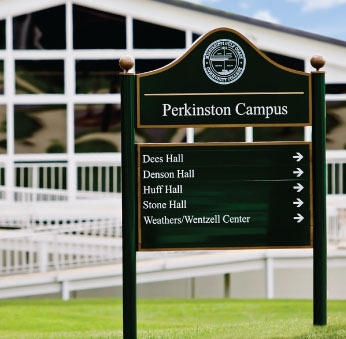 Simply remove the bar(s) that require change without dismantling the entire sign. The Changeable Word Bar System offers word bars in heights from 2” to 12”. The system is designed to be used with either Series 225 or 325 posts. Word bars may be finished in one color or several colors as required. Up to ten word bars may be mixed as necessary. 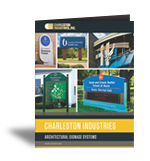 Graphics may be furnished by Charleston Manufacturing, LLC or by installer.